I currently host one of my sites on InMotion. In fact, they are my preferred WordPress provider. It’s a welcome break from other bland web hosts like Bluehost and Hostgator. I think they’re special – and this InMotion Hosting Review for 2019 will explain why. InMotion doesn’t normally give separate discounts for its hosting plans. The deals and price reductions you see on its front page are the only ones available. However, I managed to get a special 40% InMotion hosting coupon for shared hosting. These coupons also give you special prices for WordPress and VPS plans. Note: These are 1-year renewal prices. Hosting companies make it really difficult to compare prices between them by changing the billing cycles. 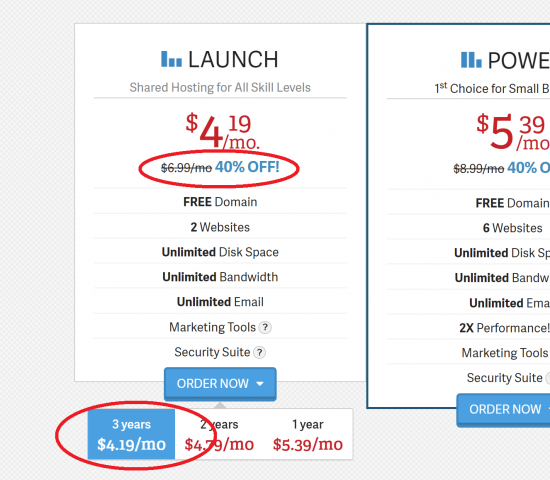 However, I’ve standardized all the costs for yearly web hosting prices, so it’s easy to compare. You’re welcome! Get the Biggest InMotion Hosting Discount! You can see in the screenshot that the 40% coupon is applied uniquely for wp-tweaks. 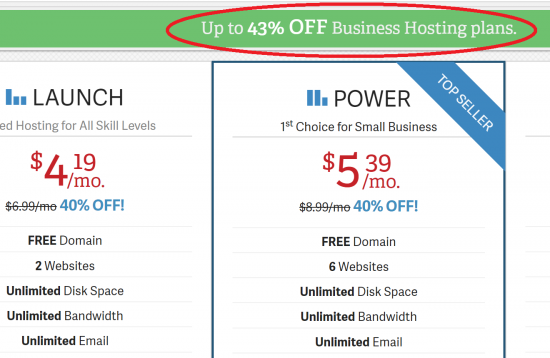 All hosting companies give you discounts to get your business, and InMotion is no exception. However, most of them make you pay the full price for renewals. The discount you get is only for the first billing cycle. After that, the discount vanishes and you pay the same rate as everyone else. While InMotion also gives you a discount for signing up (see above), it doesn’t entirely vanish when you want to renew. Instead, you continue to get a portion of the original discount, depending on the length of your billing cycle. For example, in the screenshot below you can see that the discounted price of hosting for one year is $5.39. You also see that it will renew at $8.99 – that’s the part with the strikethrough. However, when you look at the prices for 3 years, you can see that the both the discount and the InMotion hosting renewal coupons are different! In the above image, the renewal price is $6.99 instead of $8.99. So while you don’t retain the full discount you got when you sign up, you get an invisible InMotion hosting renewal coupon that continues to discount your rates for the rest of your hosting time. This makes it one of the most unique web hosting companies in existence. In my DreamHost review, you can see that they have something similar as well. But while DreamHost prides itself in its simplicity and lack of choice for its regular web hosting plans, InMotion revels in choice – as you will see below. Here are the prices of all the InMotion plans both before and after the discounts. To get the discounts, just click on the links below and they’ll be applied automatically! Their WordPress hosting and dedicated servers have a lot more “tiers” compared to other hosting companies. And you’ll below see that it’s completely justified. Also keep in mind, that though it’s not mentioned, there are a bunch of restrictions on the InMotion hosting plans concerning resource usage. InMotion doesn’t show its restrictions on its website like SiteGround does. However, here’s a list of resource restrictions that are applicable to their shared and WordPress hosting plans. All web hosting companies get negative complaints. Part of the reason is that people only complain when something goes wrong. However, even by these standards InMotion seems to receive far fewer complaints than any other hosting provider I’ve reviewed so far. The Better Business Bureau (BBB) gives them an “A+” and while you’ll also see a lot of negative reviews on that page, take a look at the pages of some other companies! Hostgator for example has 92% negative reviews on BBB as of this writing whereas InMotion has just 38%. Even other customer focused web hosts have gotten terrible review percentages. InMotion is the first I’ve seen that’s actually managed to come out ahead. BBB is pretty brutal, and if they’ve managed to get a 62% approval rating, that’s pretty damn impressive. InMotion also offers customer support over phone, e-mail and live chat 24×7. This is in contrast to hosting providers like DreamHost that don’t have phone based customer support. While I personally feel that live chat is superior to the phone for customer resolution issues, everyone is different. In that case, InMotion has you covered. So even though these things are hard to determine objectively, the data so far shows that InMotion is has superior customer support compared to others in the field. InMotion has quite a few unique things going for it compared to other hosting providers. While some of them are specific to the plan, quite a few relate to their hosting services in general. Let’s look at a few of them. SSD drives are faster than traditional HDD. But they’re also more expensive and not all hosts have them. Most hosts only save them for their more expensive offerings. Hostgator for example gives you SSD drives only with their dedicated servers. InMotion on the other hand has SSD drives for every single plan regardless of whether it’s shared hosting, or dedicated hosting. This gives every package with InMotion a little boost in speed that you don’t get from other hosts (except DreamHost, which also has SSDs for shared hosting). While not as rare as SSD hosting, InMotion also gives you a free domain with every plan. GoDaddy, Bluehost and DreamHost do the same. However, unlike DreamHost, InMotion doesn’t include free domain privacy. Their 3-month warranty for web hosting services is the second highest in the industry. Only DreamHost is higher with 97 days – practically no difference. Other companies stick with much shorter windows like 45 days or 30-days. 3 months is a really long time for you to decide whether or not you want to stick with a hosting provider! This is something truly unique to InMotion. Hostgator for example, takes data backups once a week on a random day. Almost all hosts charge for automatic data backups. 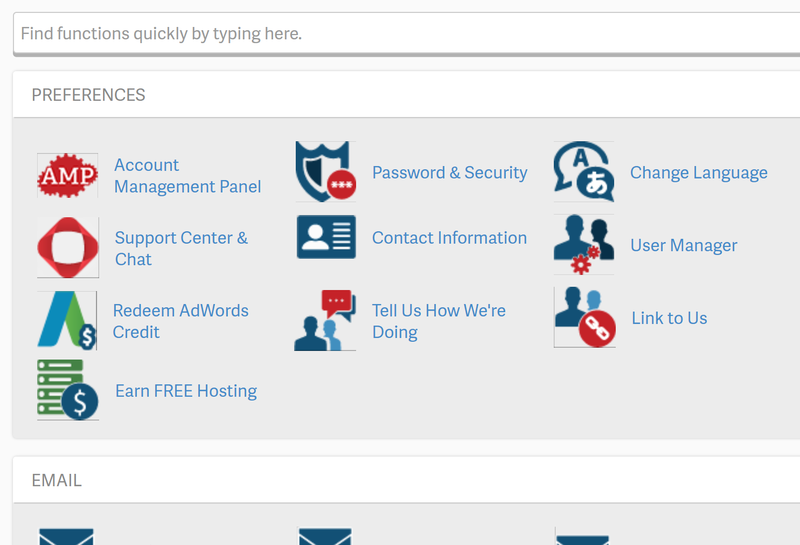 Hostgator for example, has a product called CodeGuard that they sell you separately. InMotion however, gives every plan at least 10 GB of free backups. Automatic backups run once every 24 to 36 hrs, so if you really mess up you can always restore to these in an emergency. However, I don’t need to tell you that this time period is actually quite small. I recommend that you take a data backup each time before you make some major site upgrade! Most hosting providers don’t give you a choice of datacenter locations. Some like Hostgator might offer you that option depending on the product. InMotion however, allows you to choose between the East Coast and West Coast of the United States at checkout. The choice is between Washington and Los Angeles. This allows you to take into consideration where the bulk of your customers are residing, and choose a data center that’s as close to them as possible. They call this choosing a “max-speed zone”, and the idea is that content closer to your customers will get delivered faster, and make for a better experience. It’s not necessary of course, but it’s a nice perk – just like SSDs. I was a bit disappointed to learn that InMotion wasn’t part of the group of hosting providers that support the Let’s Encrypt initiative like SiteGround. Even though you can still use a Let’s Encrypt certificate, you need SSH access and it’s obviously not as easy as a 1-click installation from cPanel. However, they provide their own free SSL solution as an alternative to Let’s Encrypt which is “1-click”, and that’s something to be happy about. Here’s a tutorial on how to enable AutoSSL with InMotion. In today’s world, don’t listen to companies like GoDaddy who try and sell you expensive SSL certificates for basic HTTPS support. Instead, find a SiteGround coupon code or get hosting from someone like InMotion who provides free SSL for the most basic needs. You can always get a more expensive certificate if you’re handling sensitive financial information and need the extra insurance and security. As you can see, it’s a bit more colorful, uses InMotion themed icons. The functionality is also a bit more modern compared to what you may be used to, and has a search bar that narrows down the list of icons in real time as you type. Personally, I don’t think it’s that much of an improvement because I’m used to using Ctrl+F in the browser anyway. Still, it helps differentiate InMotion in some ways from the competition. InMotion’s technology allows you to rollback updates to applications that you’ve installed. This is extremely important especially if you enjoy going cowboy, making upgrades to your software, and crossing your fingers! There’s really no excuse to not test your changes before publishing them to live, but in case you have to, it’s good to know that you can correct your mistakes if your site breaks. Now that I’ve covered all the “special” features in this 2019 review of InMotion, let’s look at the specifics. The basic shared hosting of InMotion is called “Business Hosting”, and their plans are pretty much what you expect with all the above add-ons that we’ve already discussed. It’s worth noting that the starter plan allows you to host 2 websites instead of 1 – which is an improvement compared to most other hosting providers. I personally recommend InMotion for WordPress hosting. A lot of hosting providers simple tag “WordPress” onto their hosting plans, and call it a day. Not InMotion. They have “real” WordPress hosting, and it’s packed with WordPress specific features. In fact, they have six plans of increasing functionality and cost. It’s even more expensive than Bluehost, that has some of the most expensive WordPress plans around! 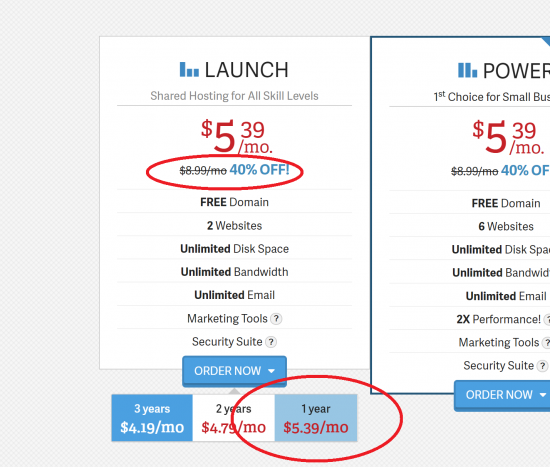 Also, their WordPress hosting is just a tad more expensive than their regular Business hosting. So if you run primarily a WordPress site, you might consider taking the WordPress plan instead of shared hosting even if you’re on a budget. InMotion WordPress hosting manages your WordPress installations by automatically updating you to the newest version (which can be disabled). Its backups are not very noteworthy as such because they come with all hosting plans anyway. You also get command line access to WordPress via the WP-CLI. Most hosting providers give you some type of website builder (often with a fee). But InMotion’s site builder is the only one I would actually recommend. Why? Because you can export it to another WordPress site when you shift your hosting provider. It’s not locked in, and that’s of critical importance to me. BoldGrid is normally a paid service that comes free with InMotion. I like how it seamlessly integrates into WordPress so you can design your site from inside it. And just in case you didn’t hear me before – you can export your stuff! Need to make changes to a plugin or theme, but not sure how your site is going to react? Create staging copies of your site so you can test them before going live. Just like SiteGround offers, staging is really useful, and shouldn’t optional. Make it part of your best practices process and it’ll be a friend to you for life. 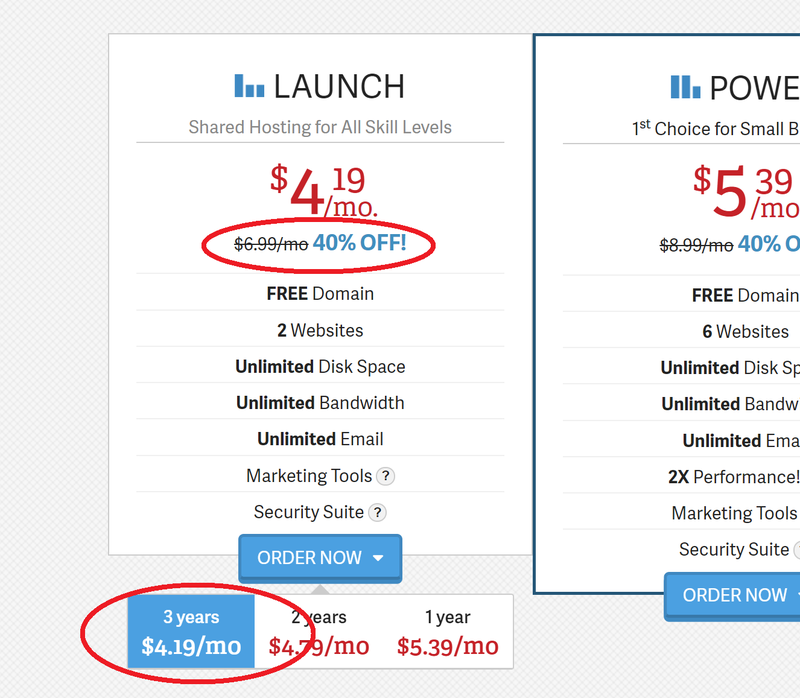 As I mentioned, InMotion’s WordPress hosting services go up in price. The last three come with a bunch of free dedicated IP addresses that you’ll find very useful – especially if you want to purchase a private SSL! These dedicated IPs are otherwise quite pricey to purchase separately. So it’s a great bonus feature with InMotion. This is what a WordPress hosting plan should look like. NGINX is a well-known reverse proxy system that sits in front of your installation and serves static content super-fast. It’s specially optimized for WordPress and turbocharges your site. All InMotion WordPress hosting plans have this set up. InMotion’s VPS plans come in two flavors – Managed and Self-Managed. Both of them are cloud powered, which means there’s no downtime due to hardware failure. The managed VPS servers have WHM/cPanel access, as well as full root access. That’s something that a lot of hosts don’t allow because it could be dangerous. It’s dangerous here as well, but it’s clear that InMotion is willing to bear the risks of 100% root access. Good for them! InMotion’s dedicated servers also come in a huge number of tiers – just like those of SiteGround. While SiteGround’s dedicated servers are still more expensive than InMotion’s, the two come pretty close. InMotion’s servers often have “Double RAM” promos where, as expected, you get double the RAM for the servers that you purchase. Pretty sweet! The dedicated servers of InMotion can be upgraded using a special “KernelCare” technology which allows core kernel updates without a reboot. It means that your servers can realistically go for years without having to reboot. That’s pretty amazing! Even though all InMotion plans have SSD options, InMotion’s dedicated hosting gives you the option between a metric ton of HDD space, or a smaller (but much faster) SSD storage device. The prices are the same, so the choice and the trade-offs are all up to you. Do you want more space, or will the extra speed actually benefit your site? I’ve saved this “special” feature for towards the end because it applies only to VPS and dedicated hosting plans. It’s called “Launch Assist”, and the idea is to give you direct one-on-one access to specialists for 2-4 hours in order to migrate to the new server. The Launch Assist experts will take care of all the difficult tasks that you normally have to perform while migrating to a new VPS or dedicated server. From site migration, to security setup, setting up e-mail servers, custom server configs, you name it. The idea is that VPS and dedicated servers require a lot more technical knowhow and configuration that shared or WordPress hosting. The Launch Assist program aims to mitigate those difficulties. Even though you only get 2-4 hours of Launch Assist, you can always purchase more separately in case you require more time. That’s a great benefit and a very thoughtful add on for VPS and dedicated servers. When other hosting providers call themselves “green”, what they usually mean is that they purchased green credits from an actual green energy organization. This allows them to “offset” their carbon emissions in a way without actually having to change anything on their end. InMotion is unique in that when it calls its datacenters “green”, it’s actually green. Their Los Angeles datacenter uses outside air cooling, enabling them to cut their cooling costs by 70% and reducing their footprint for real instead of merely appearing to do so. It’s pretty impressive. They’ve also partnered with the “Trees for the Future” organization to plant trees in the developing world and implement sustainable agroforestry. It’s a great initiative that shows they actually do stuff instead of just buy green energy credits from elsewhere. If you’re a student with a “.edu” e-mail address, you can get shared hosting up to 50% off with InMotion. Just enter your e-mail ID and get started! This 2019 InMotion hosting review has been long, and I apologize for that. The reason is that it’s a pretty unique company with a set of features that aren’t found elsewhere. From SSDs, to Launch Assist, green data centers, application rollbacks and a lot more. Hopefully it’s given you an insight into what you’ll be signing up for if you choose to purchase from InMotion. I hope you have a great experience!